Get Your First Aid Kit Now!!! Hi, it's Mark with Aspen ridge Sports. Most people never thing about it, but what if your child, family member or friend cut themselves badly with a kitchen knife while preparing dinner or had a accident in the yard while doing yard work using a power tool. Do you have a First Aid Kit that could handle a bad cut or even worst while waiting for an Ambulance to arrive? Ambulances take several minutes to arrive and with a deep cut or bleeding artery seconds count to stop the bleeding. Do you know how to perform CPR, do you have a mask to preform CPR on strangers? Do you know the basic First Aid Steps to help someone? Well Don't worry, we can help. I first Aid Kit has not only supplies to help with your basic accidents, but we even have supplies to handle those life harrowing emergencies. Look, nobody wants to think about this stuff, who wants to think that they might be the only person to save a family member while waiting for an ambulance to arrive. But our First Aid Kit will be there if that should happen, now doesn't that give you a bit more piece of mind? "Okay, So Why Is This So Great?" Because we choose with the outdoor person in mind. As you know, Somebody whoose is Outdoors in the woods is far away from an Ambulance. They have to figure out how to be their own First Responder to treat themselves enough to survive until they can get help. If An Outdoors Person Can Use This First Aid Kit To Be their Be Their Own First Responder. 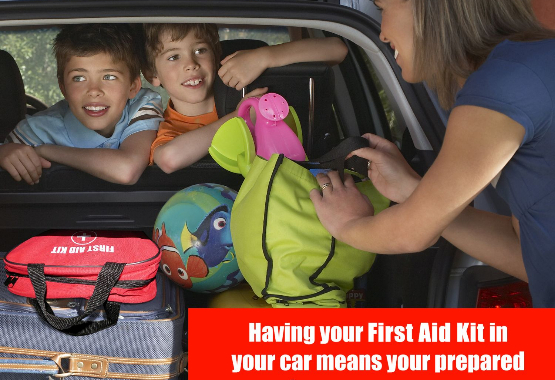 Then this First Aid Kit is perfect for putting in Your Home Or In Your Car. We have packed it with those items to stop bleeding, preform CPR or handle Most injuries people encounter. 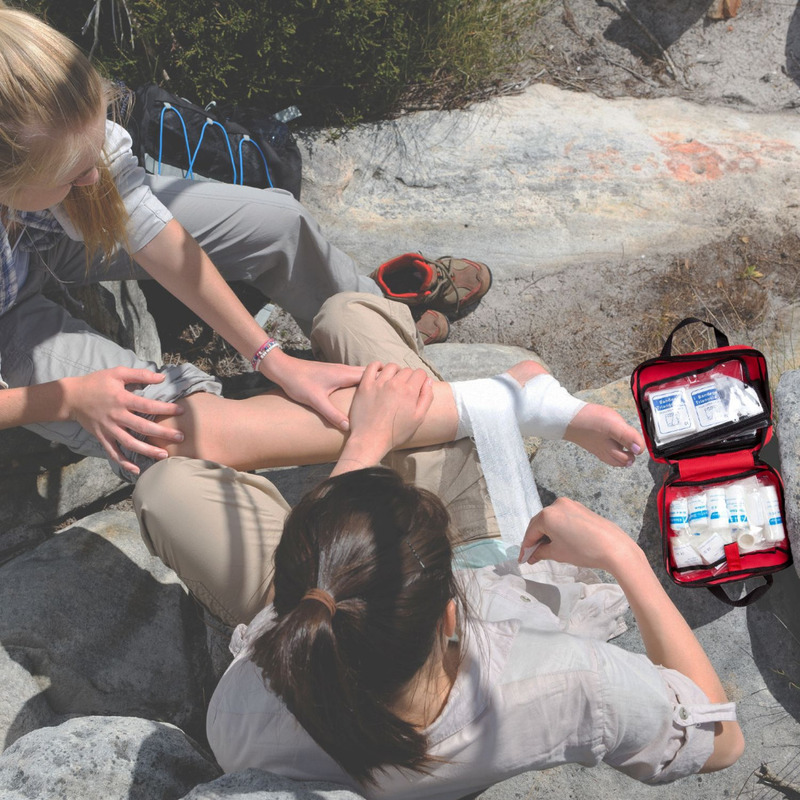 We have not only gave you a Great First Aid Kit, but we have put the kit in a Rugged Water Resistant Rip Stop Nylon Bag that is Bright Red to easily spot when you are in an emergency and seconds count. 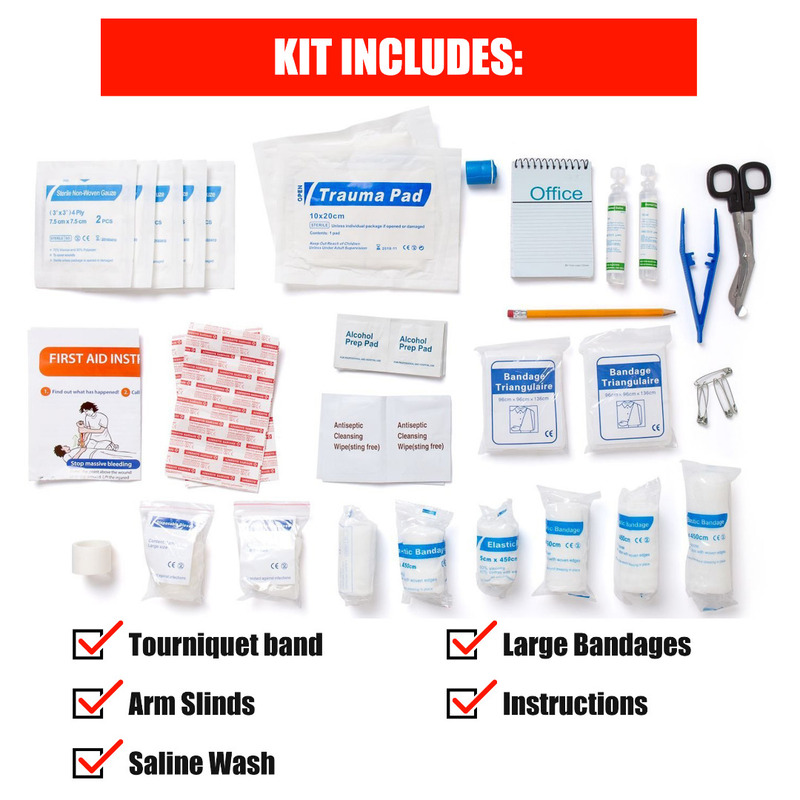 We have even thought about the way the kit unfolds, from our experience, everything in most First Aid kits are packaged tightly and you have to spill all the contents trying to find what you need when your mind is more on helping the injured party. 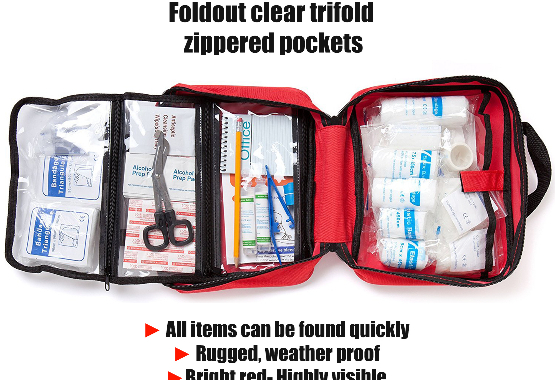 So you spill the contents and possibly ruin the sterile properties on the kit, BUT not our First Aid Kit, we have a Triple Fold See Thru Pockets, so you can quickly find what yoyu need and save seconds finding it. When Seconds Count, You Quickly Find What You Need! So If and we mean a BIG IF an emergency should happen, would you rather not be prepared and get your Own Aspen Ridge Sports first Aid Kit Right NOW! Contents 1 10 inch X 8 inch X 3.5 inch Nylon coated weather resistantant bag with 4 see thru compartments. 3 compartments fold out to quickly find the items you need in an emergency Bag has plenty of room to customize for your personal needs to include bee sting kits, rattle snack kits or your own personal medication.